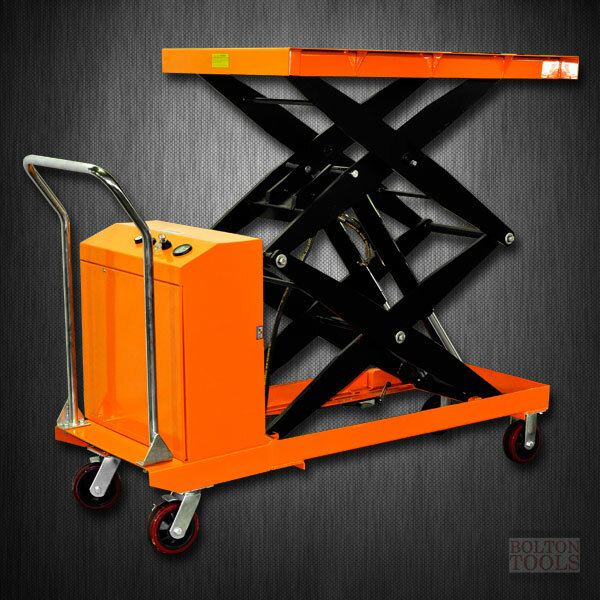 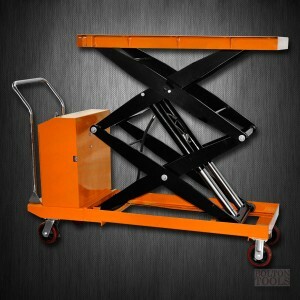 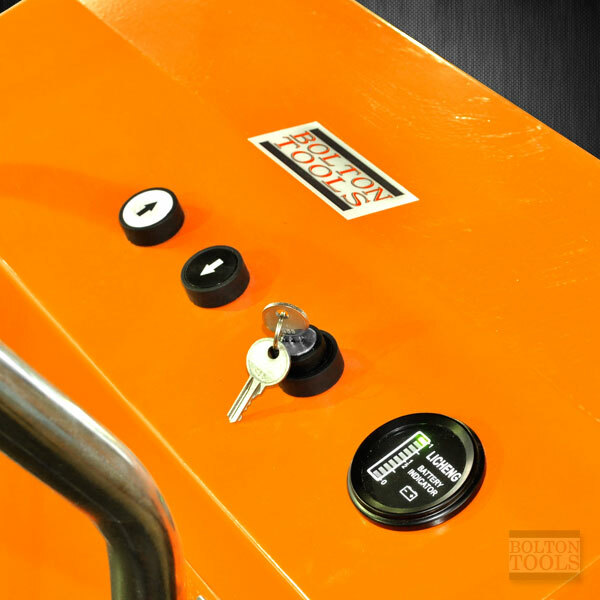 The Bolton Tools Hydraulic Hand Electric table truck features a key-operated double hydraulic cylinder, vertical double scissor table which can lift your cargo up to 2200 lb. Ideal for workers who need to move numerous loads of cargo without having to manually lift its table for optimum desired height for comfort. 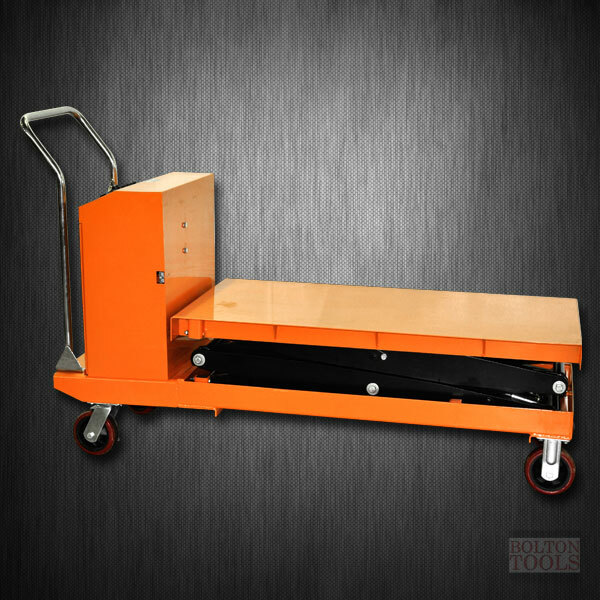 Table Size: US: 47.2" x 24.0"
Dimensions: US: 64.2" x 24.0" x 39.4"
Packing Dimensions: US: 63.0" x 24.4" x 33.1"